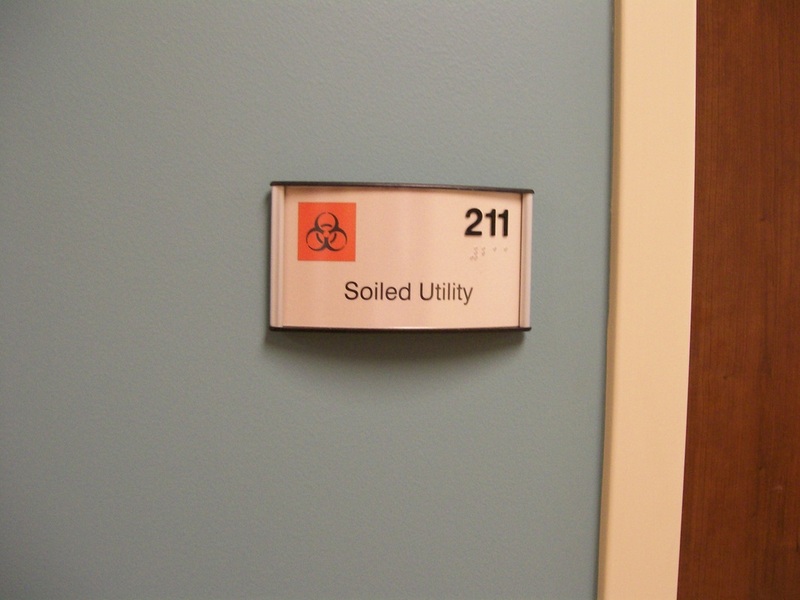 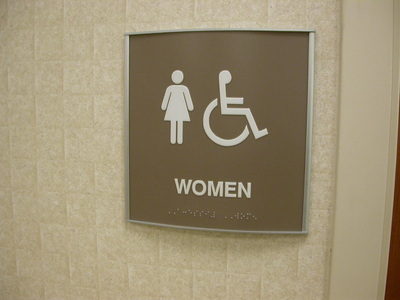 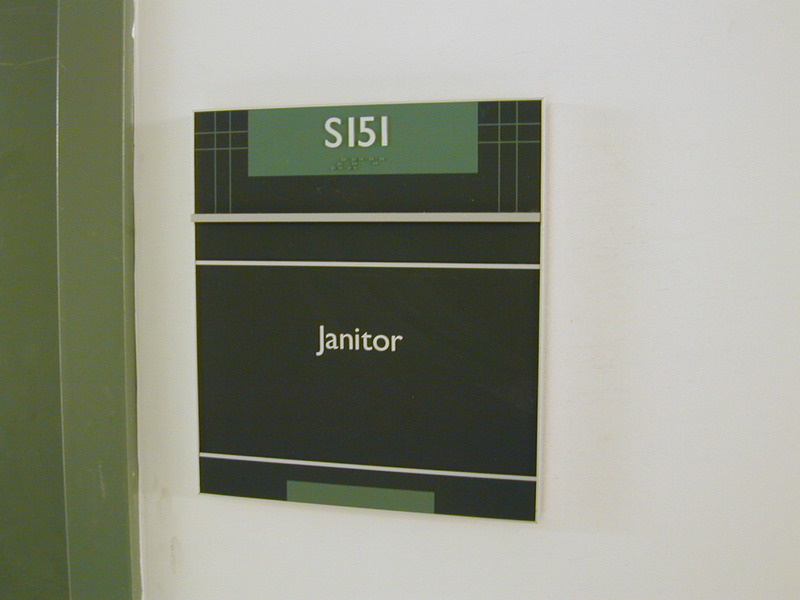 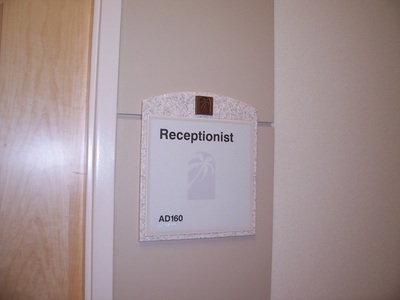 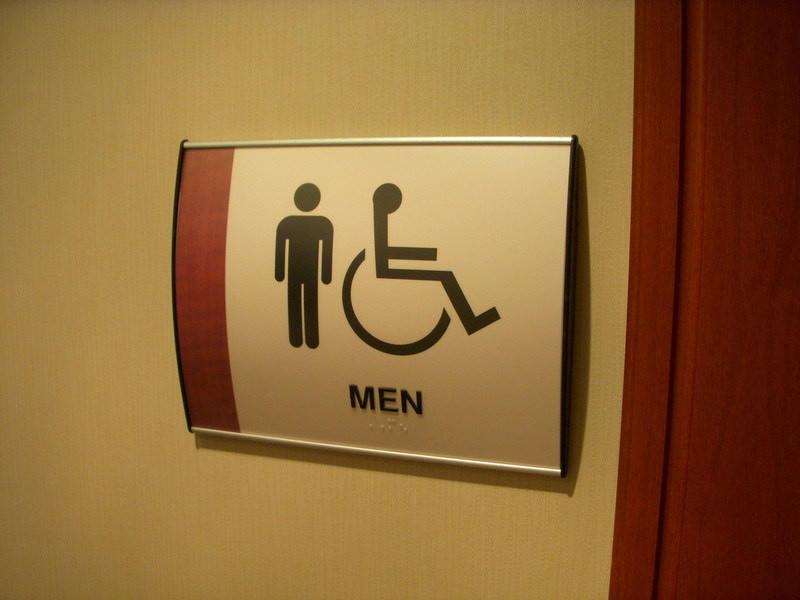 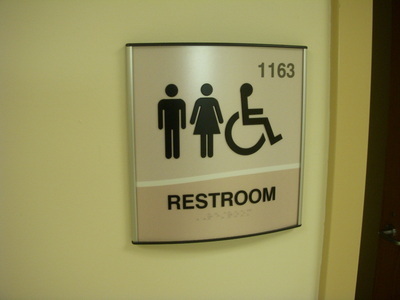 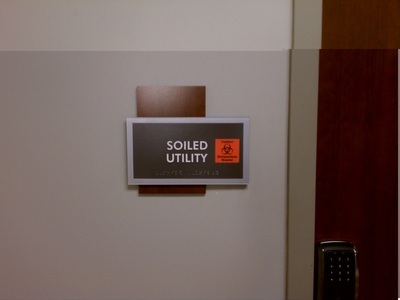 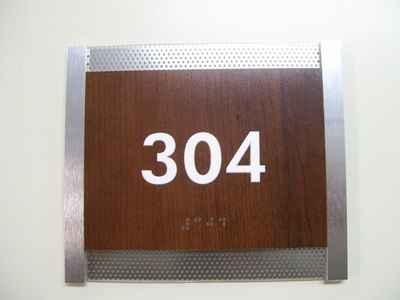 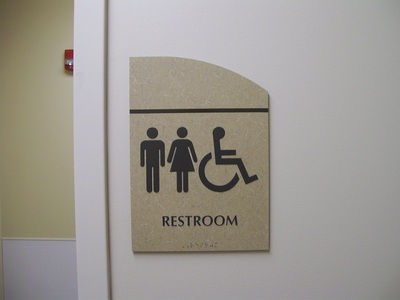 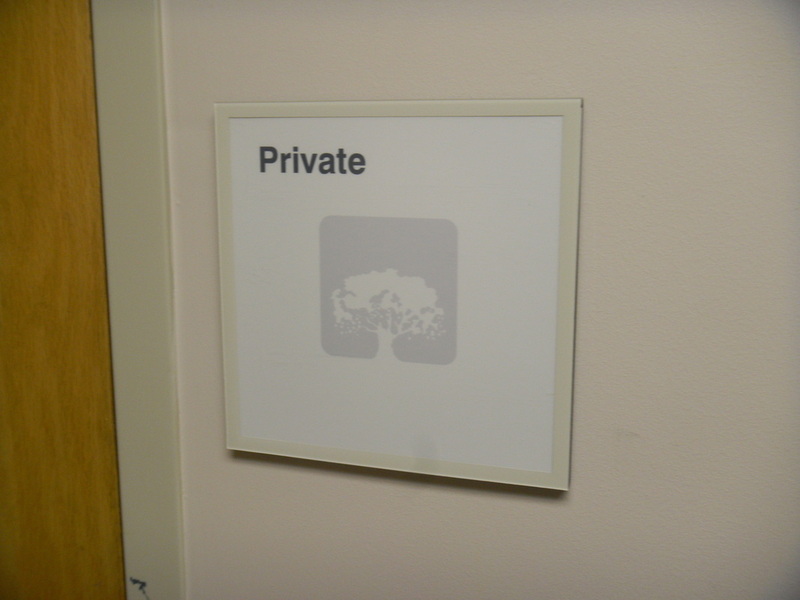 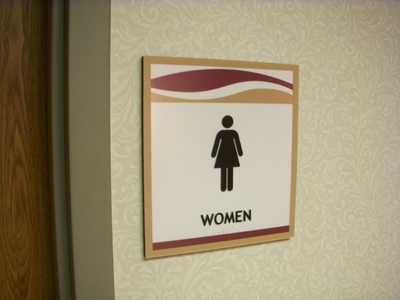 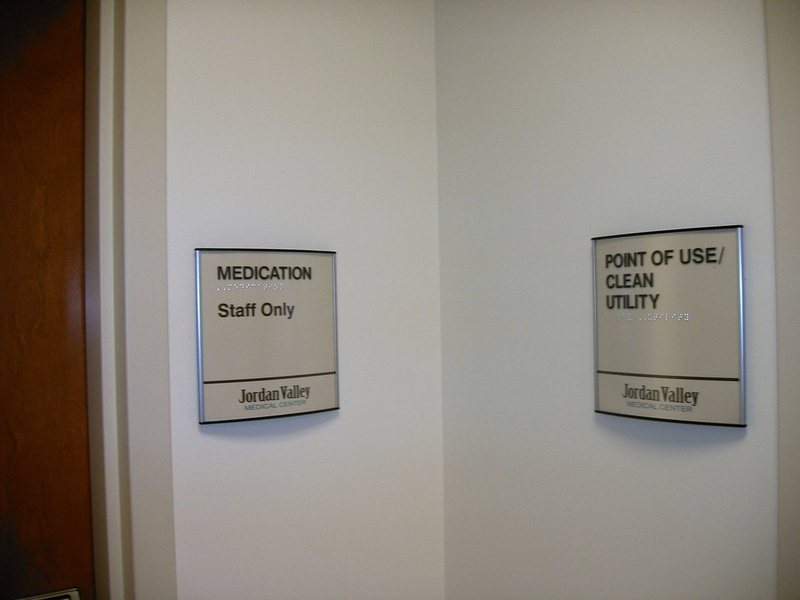 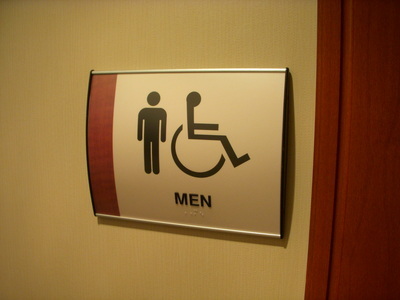 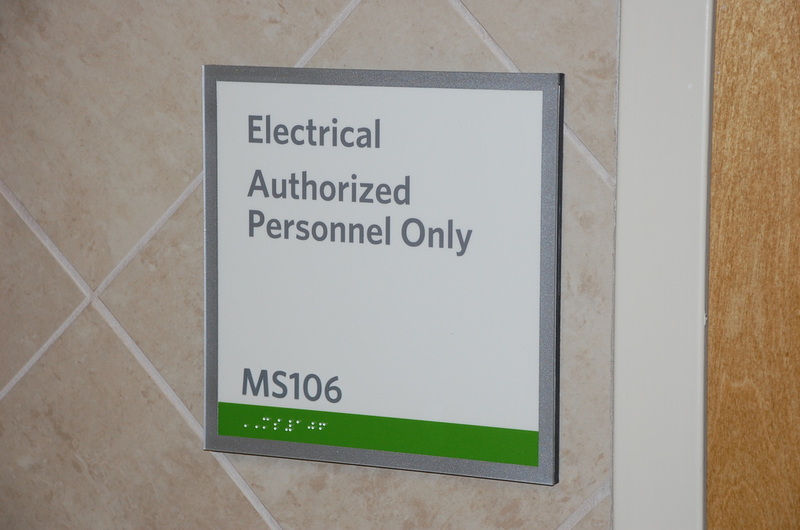 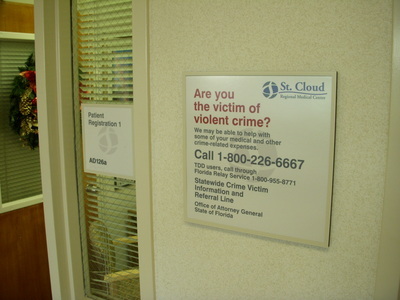 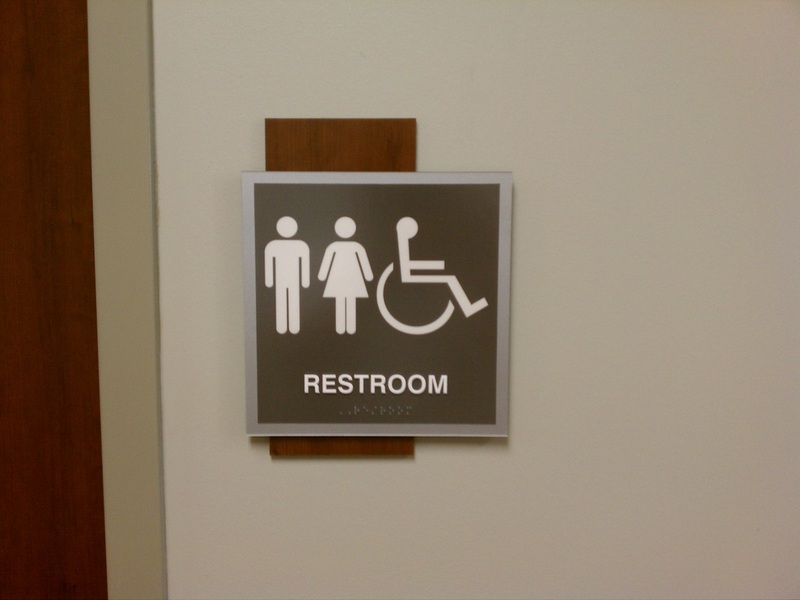 Smaller signs can be used to identify utility rooms, restrooms, offices, etc. 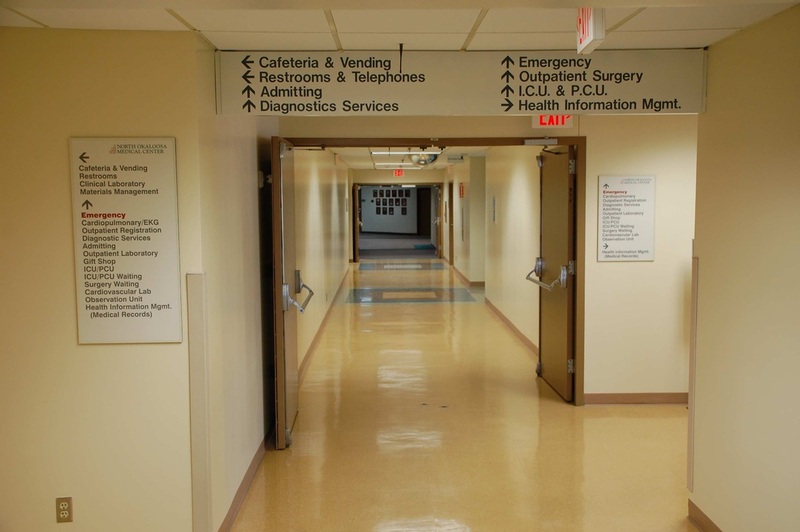 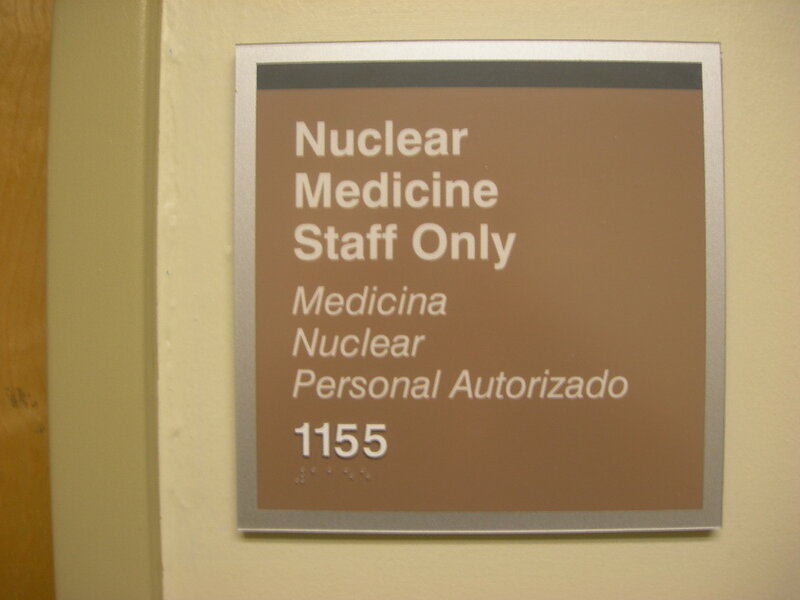 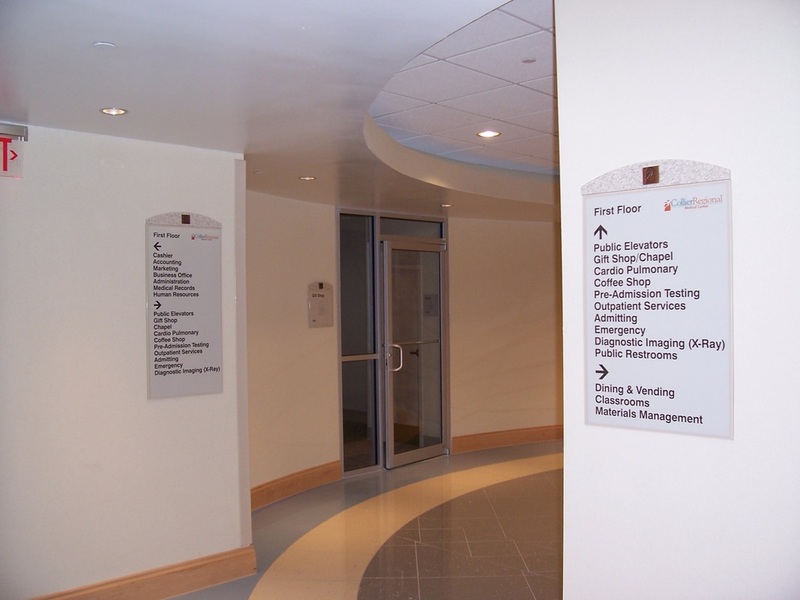 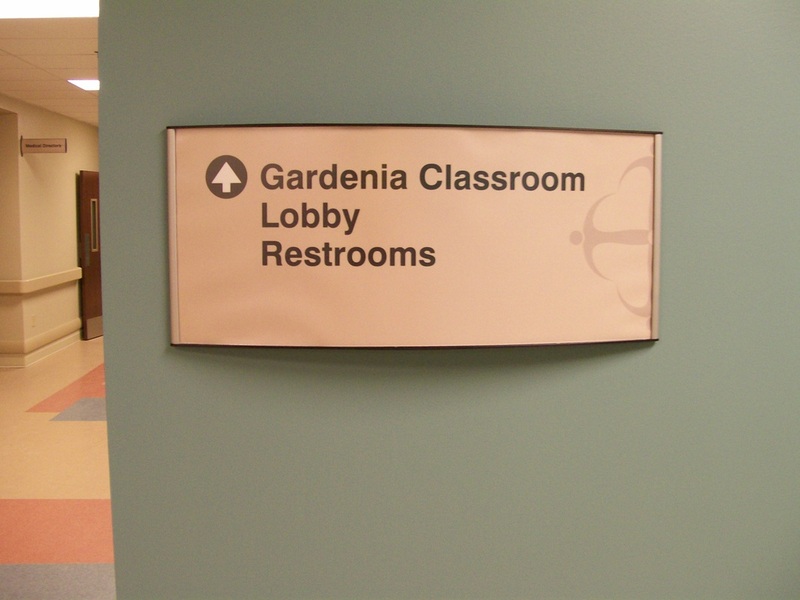 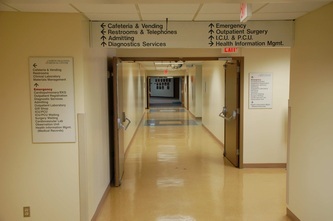 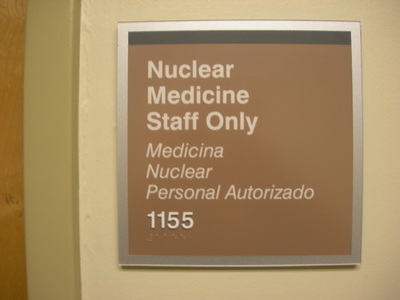 These signs typically are larger than the room identification signs & identify departments in a facility or have policy information important to visitors. 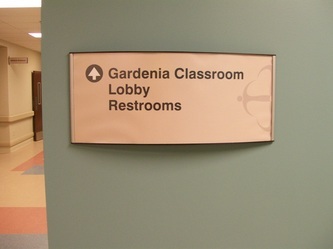 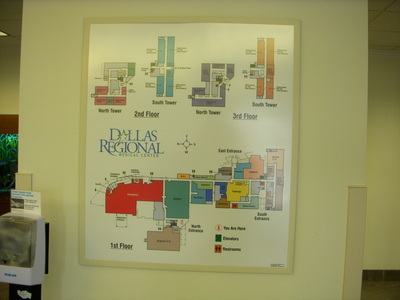 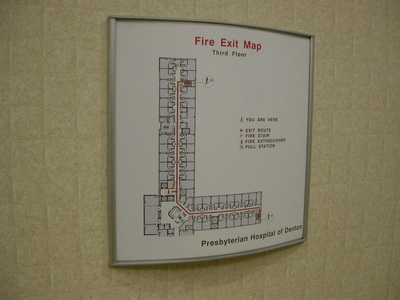 Directional signs are key to a good wayfinding system. 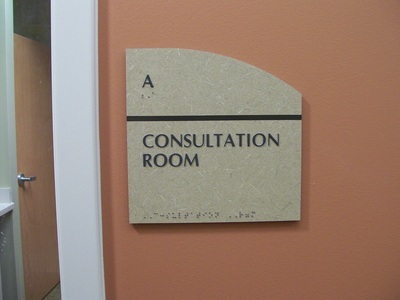 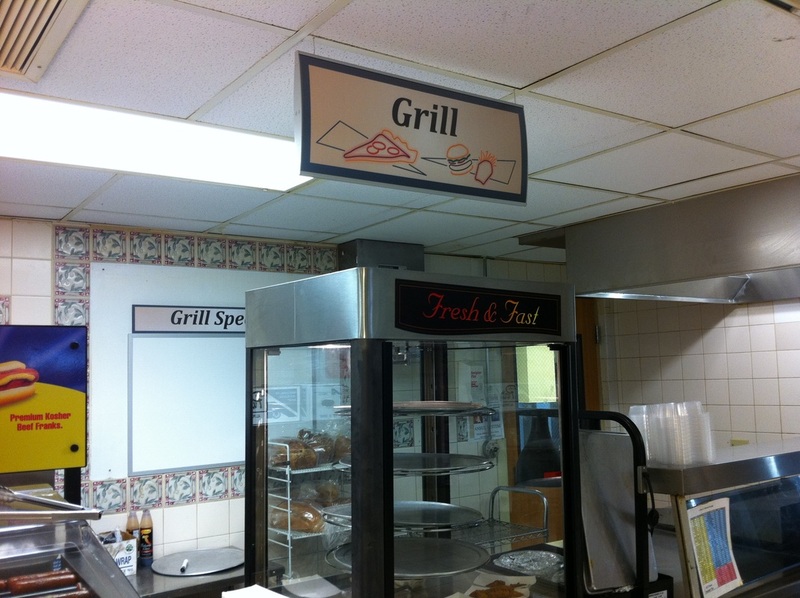 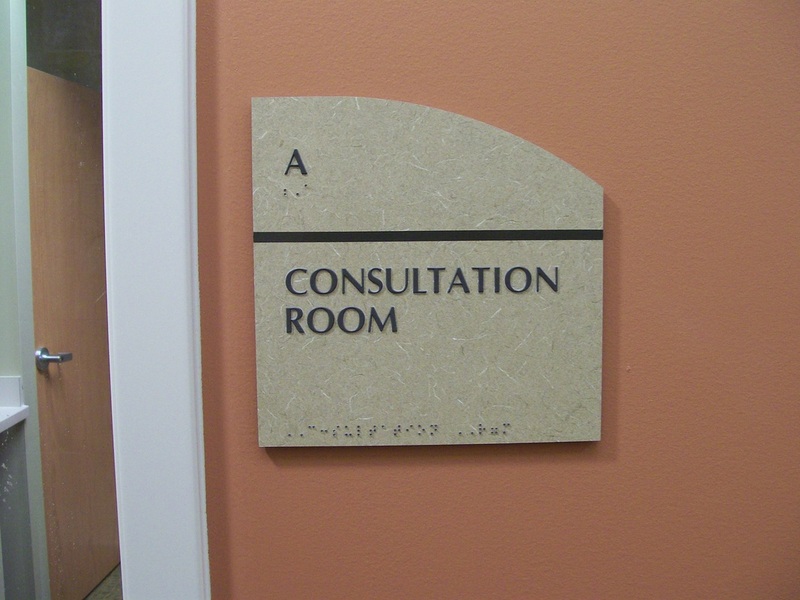 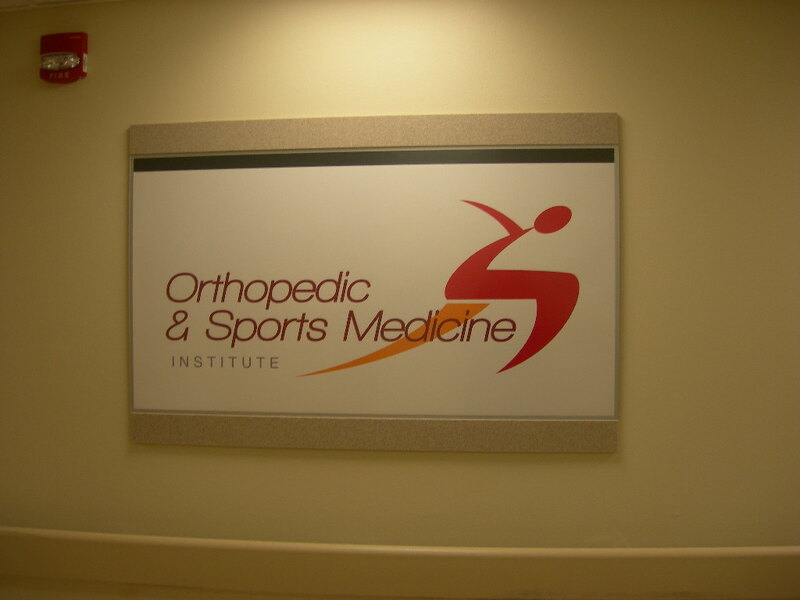 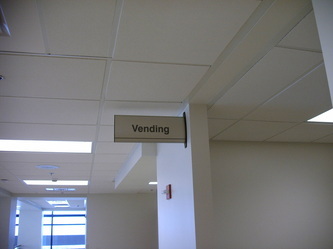 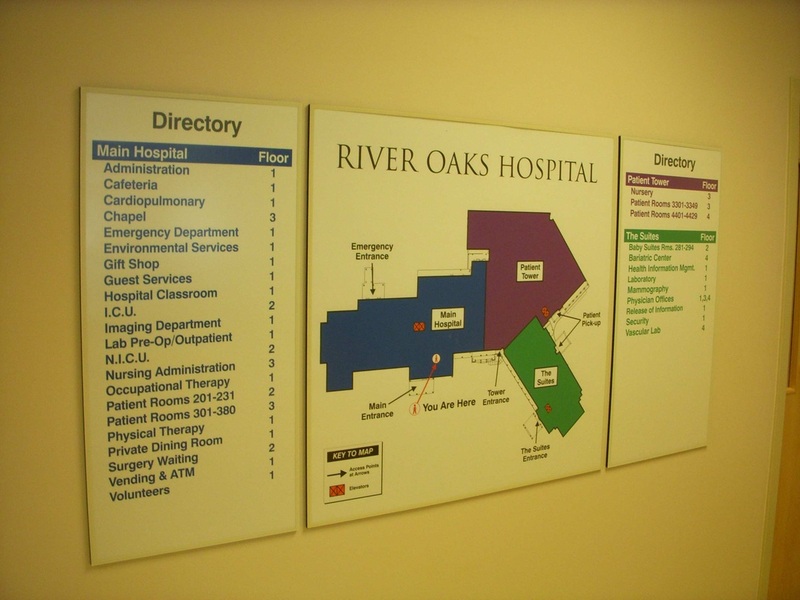 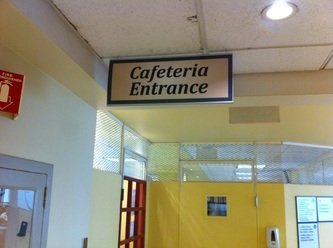 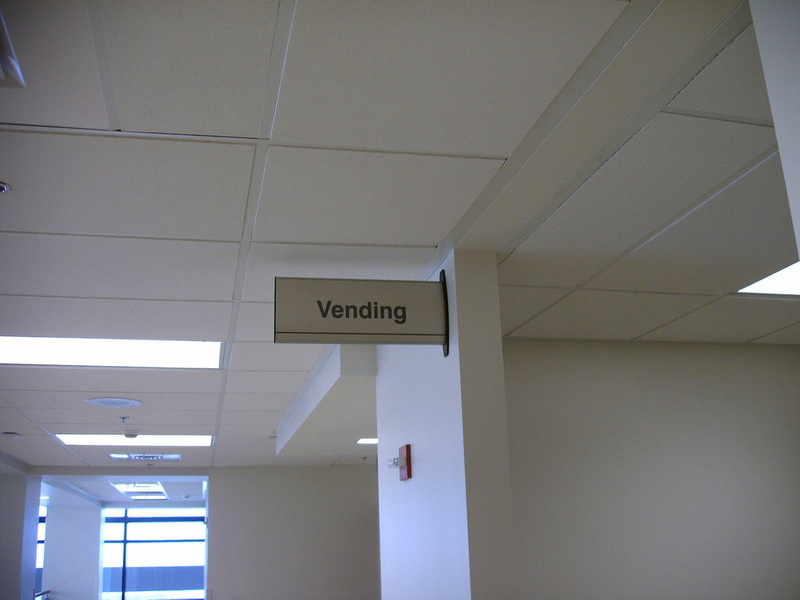 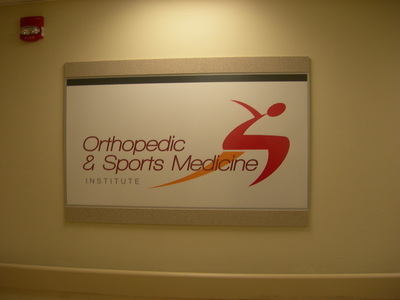 Overhead signs can add to a directional system or identify areas that may be hard to find. 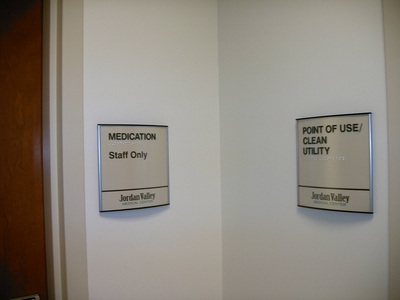 These are custom signs made for each facility. 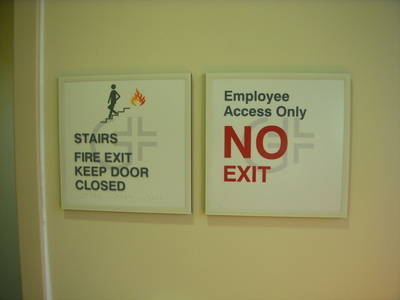 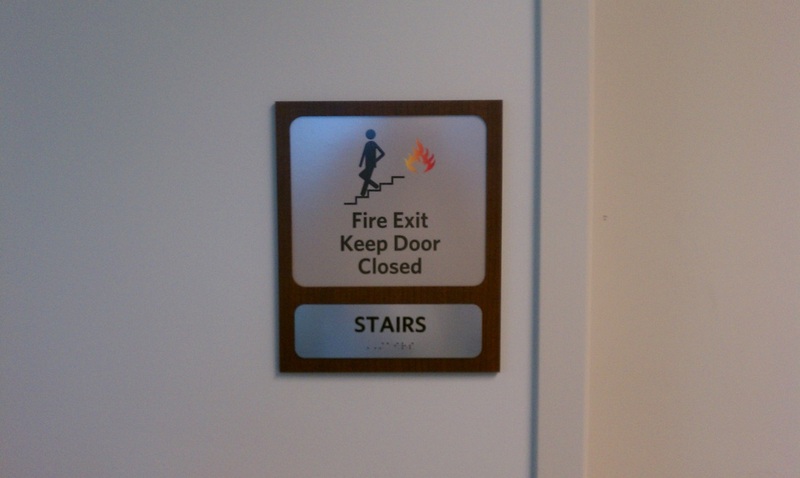 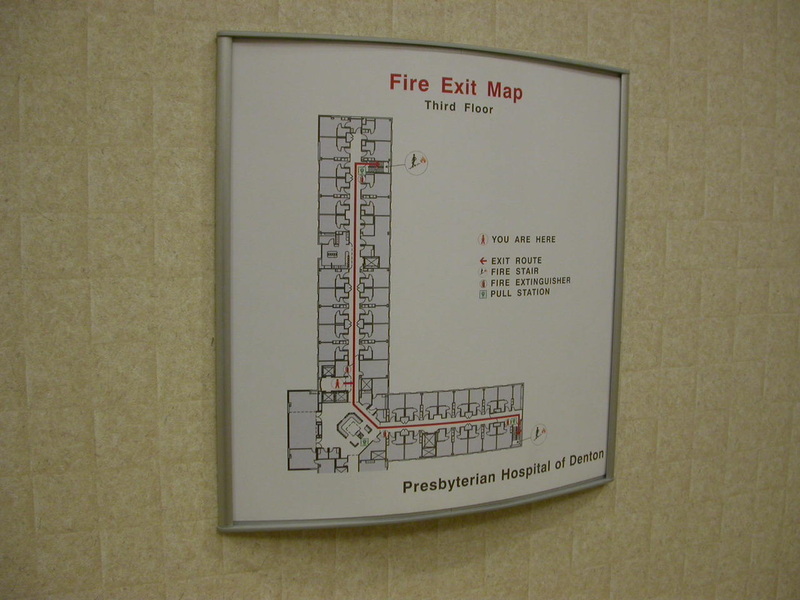 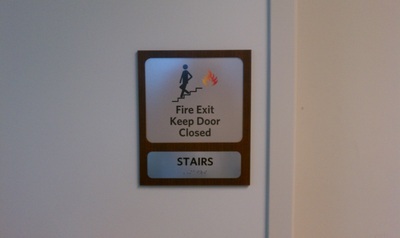 We develop Fire Evacuation Maps, Self-Help Maps and custom signs with logos. 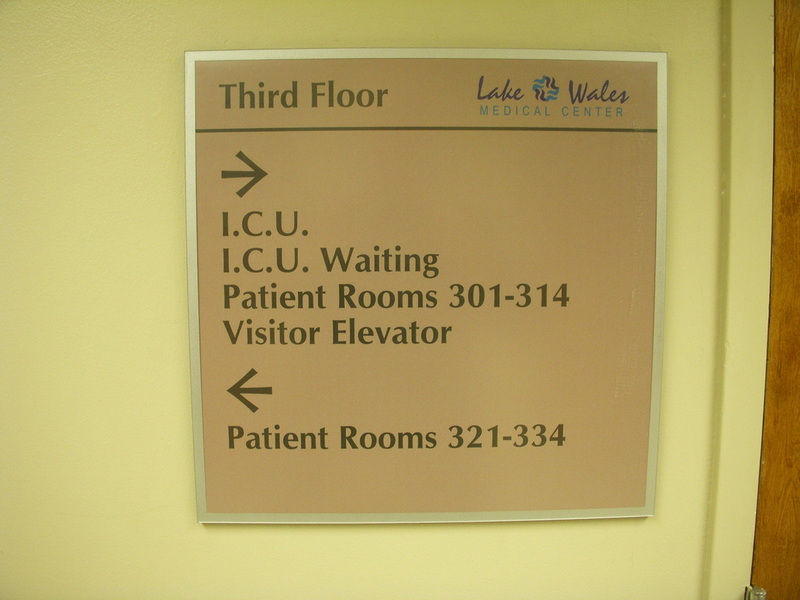 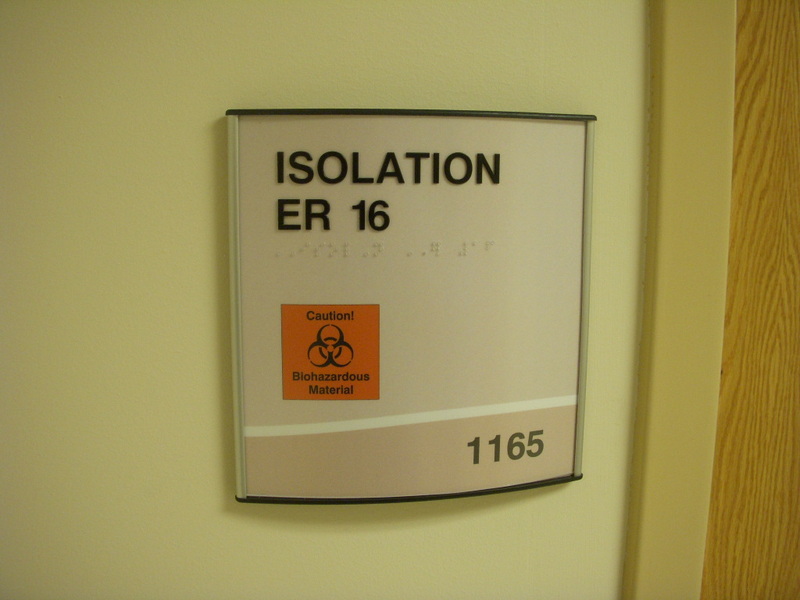 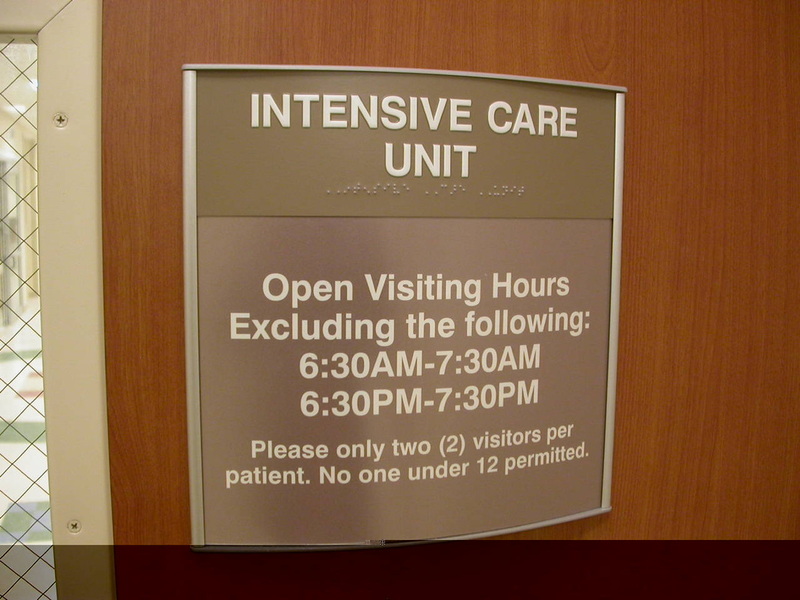 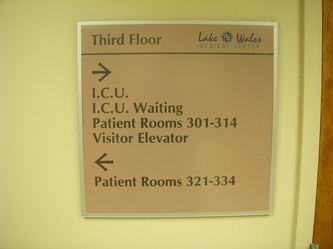 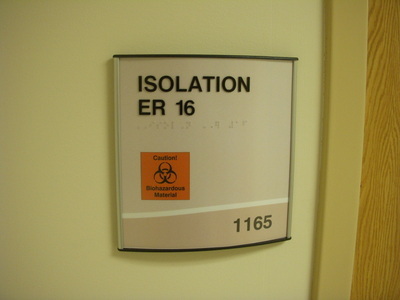 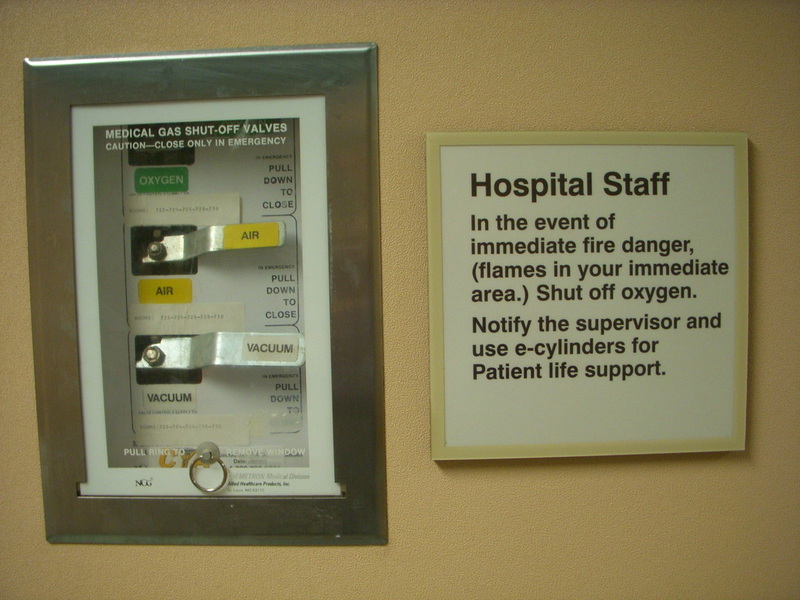 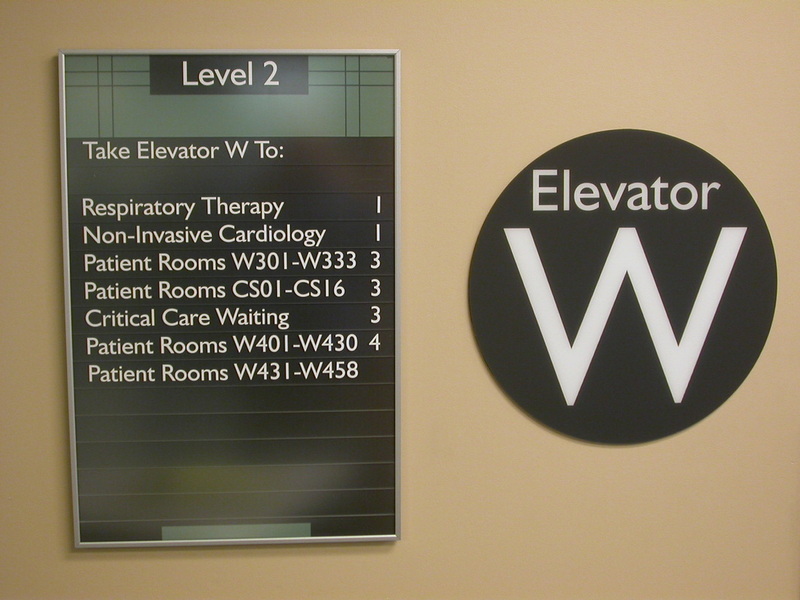 We can also create patient room signs with customized slides for hospital patient needs.